For hundreds of thousands of patients at risk for pulmonary embolism, Inferior Vena Cava (IVC) filters promised an alternative to anti-coagulant medication. The filters were designed to catch blood clots before they enter the lungs and allow them to break down over time. The devices were designed to be permanent – except that they had a tendency to tilt, break apart, migrate around the body, embed in unwanted places, and injure other organs. There are now more than 9,000 IVC filter lawsuits pending against device manufacturers. Rutter Mills offers patients suffering IVC filter complications and their families free consultations and legal representation on a contingency basis – meaning we only get paid if you win compensation. According to the FDA, more than 900 adverse events have been reported in their database. Bard filters alone have resulted in at least 300 injuries and 39 deaths. Device migration is the most common complication, followed by device embolization, perforation of the Inferior Vena Cava, and filter fracture. Patients have reported perforation of the heart and lungs. Blood and excess fluid have accumulated around the heart, causing disturbances in heart rhythm. Patients have had filters clogged by blood clots and developed life-threatening infections. Additional IVC filter lawsuits have been filed against Argon, B. Braun, Boston Scientific, and Rex Medical. There is sufficient evidence that IVC filter manufacturers knew of failure rates and safety risks in the design of their products long ago, but continued to sell them in order to make a profit. Independent studies identified failure rates as high as 37.5%, while internal testing maintained that the failure rate was zero. The first IVC filter lawsuit was filed against Bard in Pennsylvania in 2012, with additional lawsuits following in California. By 2014, MDL 2570 consolidated similar cases in the Southern District of Indiana. MDL 2641 consolidated individual lawsuits against Bard in Arizona. In 2015, midway through trial, Bard opted to settle with plaintiff Kevin Philips, who required open heart surgery after a device he’d had implanted for five years broke apart. Is There an IVC Filter Class Action Lawsuit? While there are a number of IVC filter class action lawsuits pending in California, Florida, and Pennsylvania, getting involved with one of the Multi-District Litigations (MDLs) is considered preferable. An IVC filter class action lawsuit may force plaintiffs to accept lower settlements, while simultaneously costing higher attorney fees. With MDL lawsuits, the common discoveries and facts are streamlined, resulting in lower litigation costs, but your case is still heard individually, based on its own merits. Do You Need an IVC Filter Lawsuit Lawyer? If you or a loved one have suffered injury from an IVC filter, you may be eligible for compensation to cover past, present, and future medical expenses; lost wages and earning capacity; emotional pain and suffering; and, in the worst cases, wrongful death/funeral/burial expenses. A lawyer can make sure you connect with the best medical care providers in your area, while taking care of your best interests in court against well-heeled defenders. 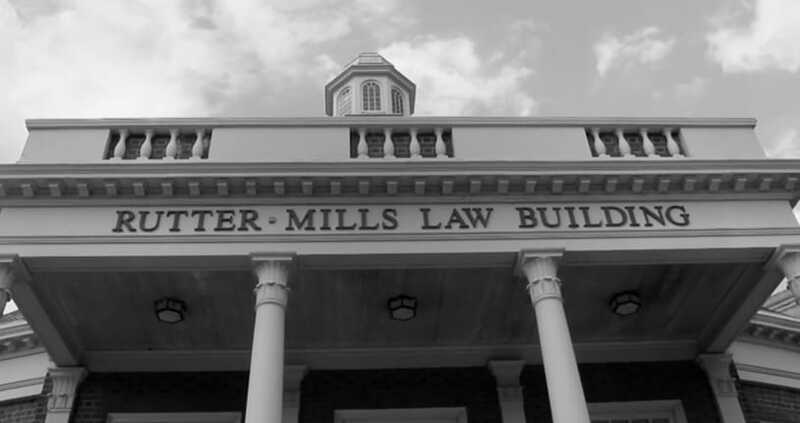 Rutter Mills is a leading Virginia-based law firm representing IVC filter lawsuit filings nationwide. We’re considered among America’s top 100 attorneys and the best law firms in the nation. We’ve been in business for more than 60 years, with experience you can count on to sufficiently handle your case. We’ll never let you settle for less than your case is worth. Contact a compassionate, capable IVC filter lawsuit lawyer for a free consultation to explore your legal options.